Total Health Home Care Services, Inc. 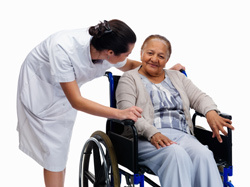 Rehabilitation Therapies - Total Health Home Care Services, Inc.
· Occupational Therapy - Helps develop skills needed for you or your loved one to remain in at home and in the community with the ability to engage in everyday activities. · Speech Therapy - Provides treatment to enable you or your loved one to communicate effectively and to improve oral motor skills to ensure safe swallowing.